something needs to radically change in the real estate industry? “Buying A Home” is a project designed to change the way real estate services are delivered throughout the world. Life Masteries Institute (LMI) is a 501c3 non profit organization devoted to changing the lives of people / families. Much of our lives are influenced by where we live and the home, neighborhood we grow up in. This project is devoted to helping all those professionals, businesses and industries that service the real estate industry have a more successful businesses. When we think of all the industries who service the process of buying a home and then support families as they live in that home, we realize how important it is to educate consumers. Education is needed not only on how to purchase the home of our dreams, but also prepare them for all aspects involved with that purchase. Imagine . . . if you were partnered with all the following professionals / businesses and your network and their network were all working together to help grow your business. What would that business model look like? Would you earn a lot more money working a lot less hours? Really . . . when you think about it, try to think of any local business, organization or entity that isn’t affected by individuals buying a home. For most professionals who benefit from people buying homes, they are looking for individuals who are ready to purchase a home, not someone who is usually six to twelve months or more out from the purchase of a home. This system is designed to actually identify people far sooner. There are many benefits to this and one is loyalty. If we / the system is helping people six to twelve months or even longer, those individuals will tend to be loyal to those who have made the learning available to them. The system is designed to provide individuals the education and information online at just the right time in the process. The average age for first time home buyers is 30 years old. What if . . . through stronger education we could reduce that age down to 27, 24 or even younger? We would have more individuals buying homes and when done properly, that brings large benefit to communities. The science of the system is actually very simple. Help to make people aware of what is required to buy a home, sooner and then help them to understand the benefits of doing this so they become empowered. It’s simple, easy, does not cost the consumer anything, is available 24/7 AND really takes no time for the service professional and costs less than a couple of cups of coffee a week. If you would like to have a complementary strategy / interview session please complete the following information. There are three levels of participation. The higher the level, the more tools, systems, resources, customization and support you will receive. The more people / sponsors you have as a part of your team, the more resources tools and most important, professionals and businesses who will be driving people to your website. It’s very easy to get started actually. Determine which of the three levels you would like to use within your business. If you have any questions please call toll free 888.230.2300. Your new account executive from Life Masteries Institute will connect with you about the information they need for the level you chose. Depending on your level of engagement, the amount of customization and the number of partners who engage with you will determine how quickly the site will be ready to start to market. Life Masteries Institute works very hard to get your site up and running as soon as possible. The pricing package is designed to be simple and easy to understand. 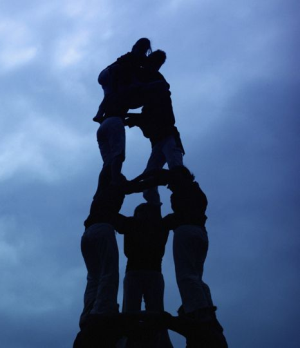 To insure that each member of the team gains the most value from their participation, each member may decide as to what level best fits their goals and budgets. This is the basic level where it’s fast and easy to get up and rolling. The standard template site / system is set up to where you do not have to customize anything so from sign up to implementation is very quick. This level is designed for those individuals who would benefit from customization within the site. More experienced professionals and those who have larger client and referral databases will gain a great deal of added benefit from the customization of marketing materials to gain the most benefit from this level. The advanced level provides even greater customization within the area of focus for the sponsor. This provides the buildout of the sponsors area to meet the specific needs and better draw more people into doing business with the sponsor. There are also additional resources, coaching, tools, systems and mentoring that are available at this level to assist you to gain the most from the site and open up the maximum number of professional and community based relationships. If you are the first individual to register for the site, you determine who all your site partners will be. The more site partners, the stronger your marketing efforts will be and the more site development resources will be allocated to your site from Life Masteries Institute. Each partner may use whatever level is appropriate for them and their business. Any site may have all levels from the various partners. A one time $375 site setup fee covers setting up the foundational aspects of the site for the entire team. Customized marketing kit for . . . NOTE: Custom sites can be created and/or content can be built and/or connected into your main company site. We recommend using a “standard site” first to get the hang of it before investing the additional time and money to customize everything. Custom quotes can be given upon request. Imagine . . . what your business / life would be like if you had someone who not only set everything up for you with “Buying A Home”, but others who would develop your referral partners on your behalf. Have you ever heard of . . .
E-VA’s - Executive Virtual Assistants ? A certified E-VA is someone who has gone through an extensive training process that is so tough that only 19% of those who enter the program will graduate. The great news for you is that those who do graduate are the very best at what they do. 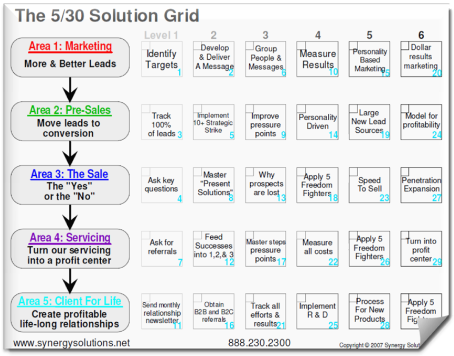 They are highly trained in all aspects of The 5/30 Grid which enable them to set up your database, organize all the various types of groups you market / sell to, developing marketing copy to keep you connected, obtain referrals and build referral relationships. 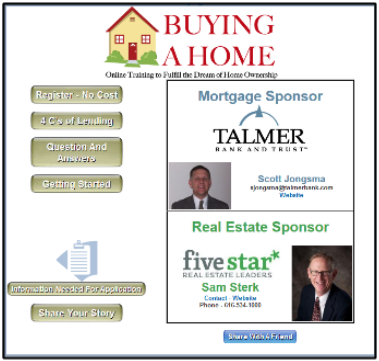 “Buying A Home” is such an easy program it takes almost none of your time to set it up and get it operational. If you would like help in developing and/or working your referral network, you have never experienced anything like an E-VA.
What Is Most Effective Way To Build A Full Site Team? 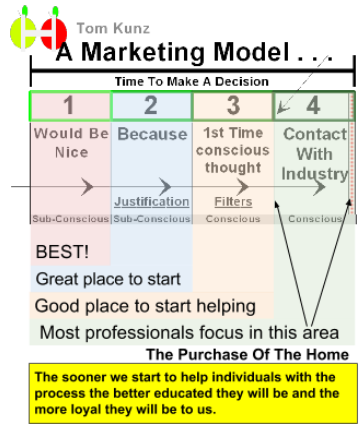 Site Team defined: The group of people / companies you work together with to sponsor your “Buying A Home” site. The more partners your site has, the more individuals / companies who will market the site and the more visitors your site will have. You may have as many partners as part of your site team as you wish. Each partner chooses to invest at one of the three levels and and then is strategically placed in your site to maximize the benefit they receive from being a part of your team. There are many ways you can build a site team. You can build it just through word of mouth. You can have your employees / team members build it or an E-VA (executive virtual assistant) build out your team. Another popular option is to have a student build out your team. A student will receive 10% for all the signups they receive as long as they are enrolled in and working the program. Students are encouraged to use the money to start their own business, use it to pay for college, save for buying a home themselves, investing into real estate or something that that will bring long term value to them and their community. There is a short educational course they go through online to become eligible to participate in this program. There are many business / life / speaking courses they can go through which will help them learn to create jobs for others rather than depending on others to give them a job. We encourage those who utilize students to consider giving them a % of the sale as well, from all sales they contributed to bringing to the table. This provides them with the experience of owning their own company and being paid based on results rather than hourly. Your student team can be one of your greatest assets as they are more likely to be well received, often more than adults, and can get on TV, radio and invited into community based organizations due to their interest in starting their own company. All the public relations not only benefit their companies but also come back and benefit you as being an innovator, job creator, interested in youth, the community and the greater cause of investing into the next generation, i.e. creating a legacy. We know this may be a lot of information to absorb and you may have questions. Please feel free to call the individual who invited you visit this site or you may call 888.230.2300 or if calling outside the US please call 630.393.9909.